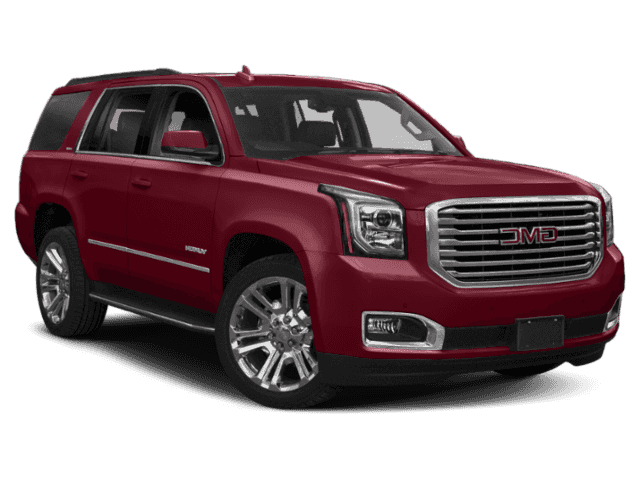 The new GMC Yukon features impressive power, innovative tech, and undeniable style. 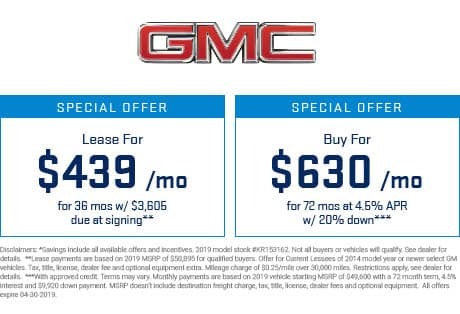 When you need a full-size SUV that offers ample space and undeniable luxury, don’t settle for anything less than the new GMC Yukon. This expansive vehicle offers seating for up to 9, so you can comfortably fit the whole family and separate squabbling siblings if need be. Or opt to lower the 2nd-and 3rd-row seats down to unveil an incredible 94.7 cubic feet of storage capacity, more than enough to get your next home improvement project started. Take a ride up to Vero Beach, carpool to work in Stuart, or spend the day shopping in Port St. Lucie; the Yukon has the space you need to get everyone and everything there safely. Wherever you go, the new Yukon is sure to garner more than a few stares. The wide, muscular frame casts a commanding road presence, ensuring you receive the respect you deserve. Factor in the bold grille heralding your arrival and the signature headlamps lighting the way, and you’ll dominate the city roads in this professional-grade SUV. 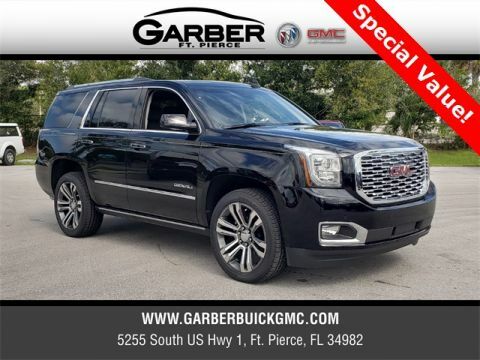 Don’t just take our word for it though; stop in to Garber Buick GMC in Fort Pierce today to take the new GMC Yukon for a test drive! 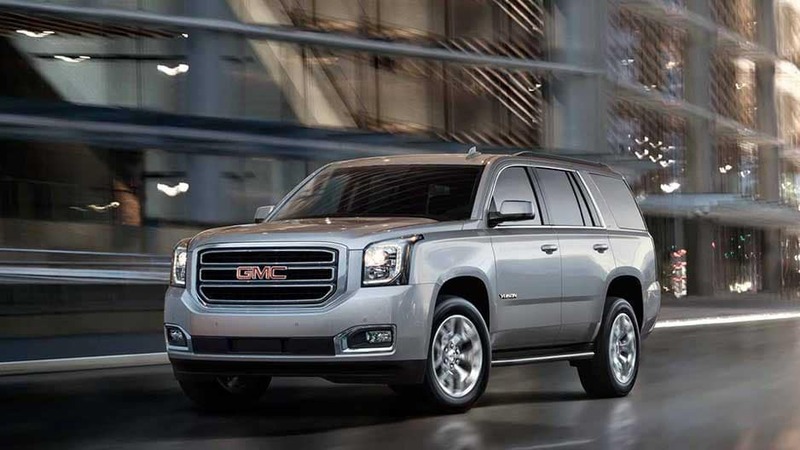 Few vehicles truly dominate the city streets the way the new GMC Yukon does. This assertive full-sized SUV casts a strong presence that can’t be ignored, with its bold stance, athletic body, and commanding size. Make the road yours. Bold styling is just the beginning in the new GMC Yukon. This muscular full-sized SUV features a wide stance, powerful three-dimensional grille, and aerodynamic curves to ensure wherever you go, all eyes are on you. These available headlamps detect oncoming traffic and will dim your high beams for you, ensuring you don’t accidentally blind someone driving past. The innovative Rainsense Wipers detect when there is moisture on your windshield, and automatically turn on to clear it up. They also adjust their speed to match the weather conditions, reducing driver distraction. Innovation can be found all over the new GMC Yukon, including behind the grille, where you’ll discover the Active Aero Grille Shutters. These shutters automatically close to maximize aerodynamic efficiency, or open in situations where maximum airflow is necessary. It’s just one more way Yukon was designed with you in mind. Easily access the GMC Yukon’s massive cargo area, even when your hands are full, with the convenient Hands-Free Programmable Power Liftgate. Simply extend your foot below the rear bumper and the liftgate will open to your programmed height. Fall in love with the professional-grade quality of the new GMC Yukon. 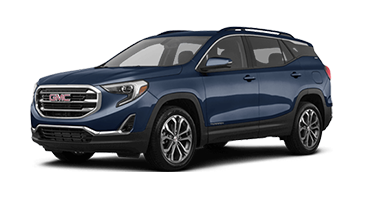 Offering luxurious details including heated front seats, real aluminum trim, and seating for up to 9, this full-sized SUV prvoides all the space and style you need. Drop the 2nd- and 3rd-rows down to unveil an astonishing 94.7 cubic feet of storage and you’ll be prepared for anything. 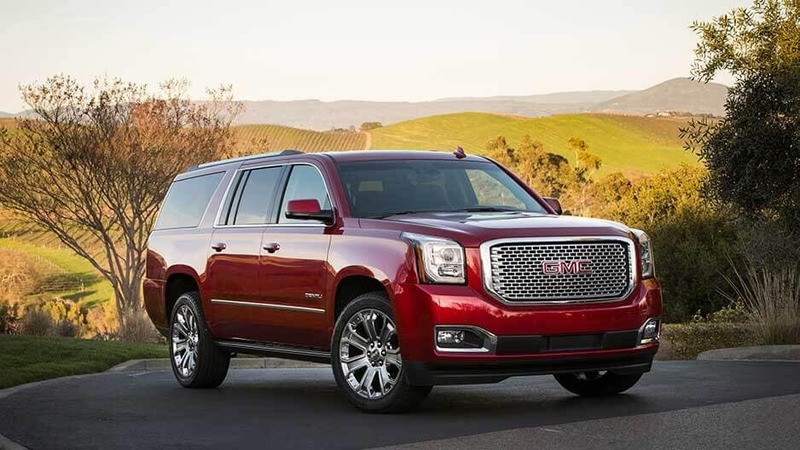 With the new GMC Yukon, you’ll have more than enough space to fit the whole family. 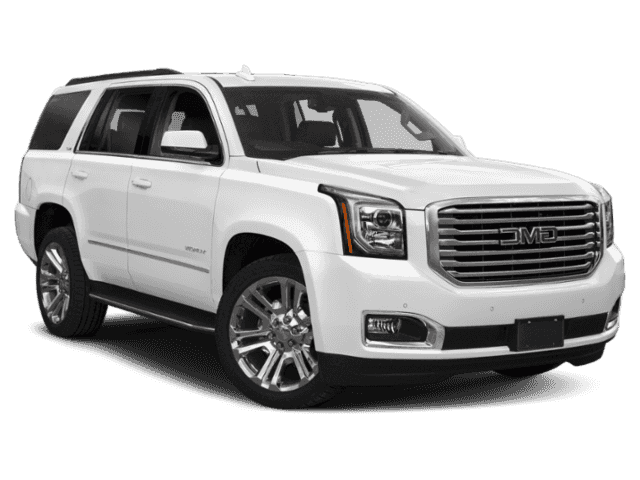 Offering seating for up to 9, the Yukon is the perfect SUV for carpooling to work or heading out on a family vacation. You’ll have all the storage you need and then some in the new GMC Yukon. Enjoy up to 94.7 cubic feet of cargo capacity when the rear seats are folded down, as well as a large center council and a hidden cupboard behind the 8” touchscreen. Bask in the comfort offered by the GMC Yukon, no matter what the temperature, with heated and ventilated leather front seats. With the touch of a button, you can warm up on winter mornings or cool down on sweltering summer days, ensuring every ride is a comfortable one. 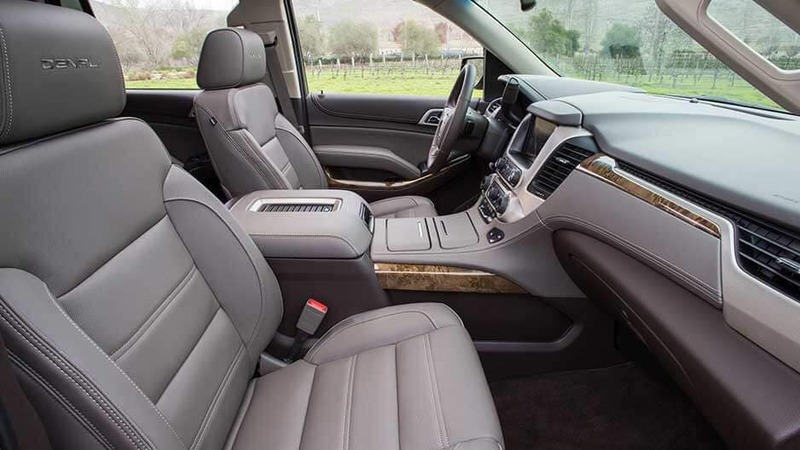 Thoughtful design is apparent everywhere you look throughout the main cabin of the new Yukon, which was designed not only to be comfortable, but stylish as well. Offering plush leather seating, contrast stitching, and real aluminum trim, you’ll be proud to show this full-sized SUV off. Control the temperature of different areas of the cabin with the new Yukon’s Tri-Zone Climate Control. This system offers individual climate control for you, the front passenger, and the rear passengers, so everyone can be comfortable while you travel. Enjoy a peaceful ride in the new Yukon, which utilizes the latest in noise cancellation technology to ensure a quiet cabin. Thanks to innovations such as triple-sealed doors, an acoustic-laminated windshield, as well as inlaid doors that reduce wind noise, you can hold a conversation or listen to your favorite music without unwanted distractions from outside. The new GMC Yukon is packed full of the latest in advanced technology features, guaranteeing that wherever the road takes you, you’re sure to enjoy the ride. 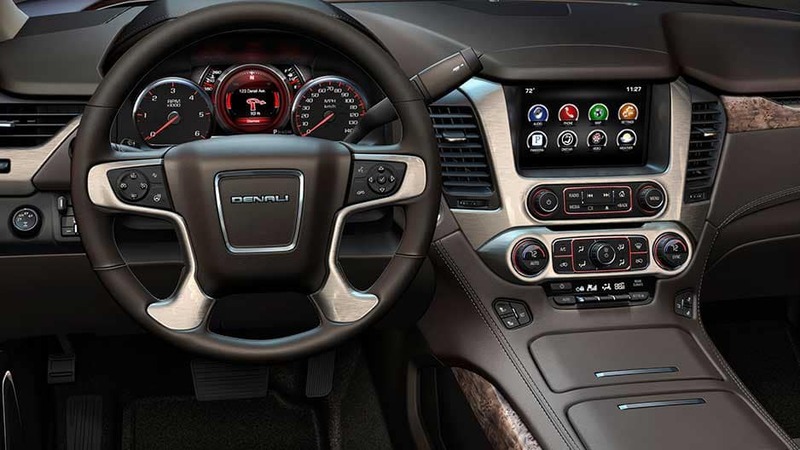 Sit back and relax as 4G LTE Wi-Fi®, GMC Infortainment System, and Bose® Centerpoint Surround Sound keep you entertained. With the new GMC Yukon, you can stay connected on the road thanks to its built-in 4G LTE Wi-Fi hotspot. You and your passengers can connect up to 7 devices and easily stay in the social media loop. This innovative system makes it easy to access your favorite apps safely on the road. Simply sync your mobile device via Apple CarPlay™ or Android Auto™ and enjoy the ability to answer phone calls, navigate maps, or stream music right from the 8” touchscreen. Enjoy the sensation that accompanies concert-quality audio every time you get behind the wheel with the Bose Centerpoint Surround Sound System. Nine premium speakers are strategically placed throughout the new Yukon, so you’re sure to be enveloped in enhanced audio wherever you’re sitting. Never struggle with reversing courtesy of the Yukon’s Rear Vision Camera. Simply place this full-sized SUV in reverse and the 8” touchscreen will switch to a live feed of the area behind you, so you can back up with ease. Keep the kids occupied on long rides with the Yukon’s Rear Entertainment System, which provides the rear seats with a dual play DVD player as well as dual LCD monitors on the back of the front-seat head rests. You don’t want cords to detract from the beauty of the Yukon’s main cabin, and with the convenient wireless charging pad, you won’t have to. Simply place your compatible device on the conveniently located charging pad and allow induction technology to take care of the rest. When it comes to the safety of you and your passengers, the new GMC Yukon leaves nothing to chance. Offering the latest in advanced safety technologies, including Forward Collision Alert, Rear Park Assist, and Adaptive Cruise Control, you can feel confident knowing the Yukon has your back, front, and sides. The new Yukon is your extra set of eyes on the road thanks to the Forward Collision Alert system. This system monitors the vehicle ahead and alerts you if you’re following it too closely. It also provides you with visual and audible warnings if it detects a front-end collision is imminent. This available system provides distance-to-objects alerts when you’re reversing at low speeds, making it easy for you to maneuver the new Yukon out of tight parking spots or driveways. Change lanes with confidence thanks to the new Yukon’s Lane Change Alert with Side Blind Zone Alert systems. 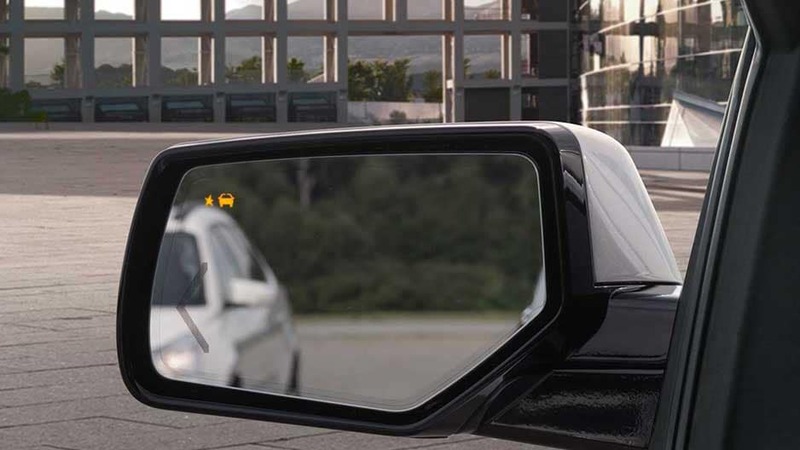 With these systems, the Yukon can detect a moving vehicle in or rapidly approaching your blind spot, alerting with indicators on the side-view mirrors. Crowded parking lots are no match for the new GMC Yukon equipped with Rear Cross Traffic Alert. This available system alerts you with the Rear Vision Camera if there is a vehicle approaching from behind while you’re reversing, preventing a potential collision from occurring. With Adaptive Cruise Control, your new Yukon can detect the vehicle in front of you and adjusts its speeds to maintain a driver-selected following distance, reducing the need for frequent braking and accelerating. The new Yukon ups its safety prevention game with the available Safety Alert Seat, which provides haptic seat bottom vibrations to warn you of potential collisions. It’s just one more way Yukon has your safety at the forefront. Not only is the new GMC Yukon spacious on the inside, it knows how to pack a punch with its 5.3L V8 engine. With a towing capacity of up to 8,500 lbs., this full-sized SUV is prepared to tackle any challenge. The new Yukon doesn’t hold back in the power department, offering a standard 5.3L EcoTec3 V8 engine that kicks out 355 horsepower and 383 lbs. of torque. This remarkable engine also offers Active Fuel Management™ technology, which activates and deactivates four of the eight cylinders in the V8 depending on load and power demand. 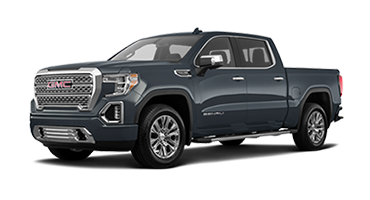 Take your jet skis or small trailer along for the ride with the new GMC Yukon, which offers heavy duty trailering equipment such as a hitch platform and 7-wire harness, allowing you to tow an impressive 8,500 lbs. You can trust the new Yukon to be ready for the long haul with its wide array of trailering technologies. The Integrated Trailer Brake Controller makes it easy to monitor your trailer’s brakes, while Trailer Sway Control detects a swaying trailer and applies both the Yukon’s and the trailer’s brakes to keep them in line. When you drive the new Yukon, you’re getting the latest in advance braking technology with the GM-exclusive Duralife™ brake rotors, which utilize ferritic carburizing to double the life of your rotors. Enjoy superior handling in the new GMC Yukon equipped with Automatic Locking Rear Differential, which directs power to the rear wheels when it detects you’re on slippery surfaces, ensuring top-notch traction in any condition. Hop in and enjoy the ride with the new GMC Yukon. 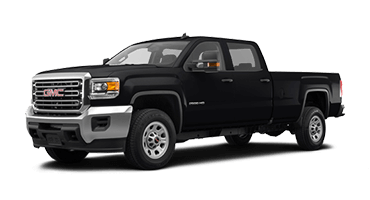 Offering the latest in advanced technology features, trips are never boring again with 4G LTE Wi-Fi®, Bose® Premium Audio, and the GMC Infotainment system right at your fingertips. Sync your mobile device and prepare to enjoy the open road. 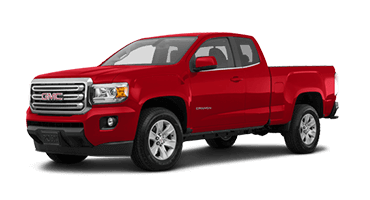 A high commitment to professional-grade quality is evident everywhere you look in the new GMC, including under the hood, where you’ll discover a best-in-class 5.3L V8 engine. Boasting fuel saving technologies such as Active Fuel Management™, you’ll drive further than you ever thought possible in a full-sized SUV. 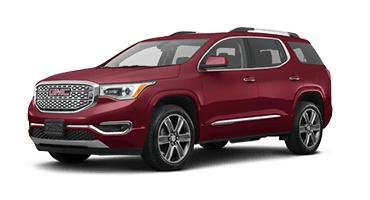 Experience the innovation of the new GMC Yukon for yourself, by stopping in to Garber Buick GMC in Fort Pierce today for a test drive.